On an almost daily occurrence we are asked 'what are the best kind of fuels to burn on stoves, fires and cookers? As with anything, you get out what you put in, so if you burn quality fireplace fuel you will get quality performance. This is why we have introduced a range of approved smokeless coals, hardwood kiln dried logs, bio-ethanol, charcoal, pellets, kindling and compressed eco-logs. We also have a selection of matches and safety gas and electric lighters available to help get your fire started. There's no with fire without fuel, and there are many fuels to burn. We hear so many stories of people buying high end quality appliances and burning cheap, damp fuel and then complaining about the lack of performance. The quality of fuel is an important issue, the best thing you can do for your appliance in terms of upkeep and longevity will be to burn good quality, high grade fuel. Obviously this depends on the nature of the appliance in question. Appliances with 'wood burning' in the title burn wood only and we recommend using kiln dried wood, owing to its low moisture content. Essentially the quality of the burn depends largely upon the moisture content of the wood itself, anything over 50% will make for a poor, smoky burn. This is because the energy is essentially being wasted in raising the temperature of the moisture inside the logs to create steam, which is why the smoke is thick and white. 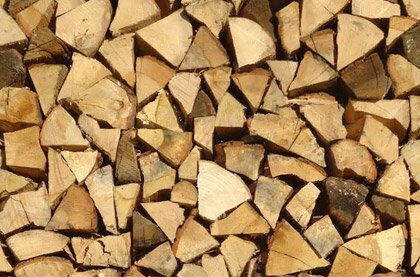 Wood with low moisture content levels however, such as kiln dried wood, will burn hot, bright and efficiently, with a greater level of energy being released as warmth and light into the surrounding area. Appliances with 'multifuel' in the name are able to burn either wood or solid fuel, such as smokeless coal. Smokeless coal is perfect for burning on multifuel appliance, exuding a smokeless gas these coals are easy to light, clean burning and provide ample, long-lasting heat. These coals burn for a long time, even overnight, and will effectively in room heaters, boiler and stoves (with multifuel capabilities) alike. These are an incredibly efficient fuel source too, giving you the most burn for your buck. Some types of fuel are designed for specific uses, so check the description to make sure it is suitable for your appliance. Bio fires combust bioethanol to produce water vapour and carbon dioxide, producing a clean and natural flame. These stoves are the future of clean burning, environmentally friendly fire, due to the fact that bioethanol is produced through the fermentation of plant material, therefore making it 'carbon neutral', and hence green. Carbon neutrality essentially means that the net carbon release of burning bio-ethanol is zero, as burning bioethanol will only release as much carbon (in the form of carbon dioxide) into the atmosphere as was originally bound up in plant sugars during photosynthesis, a complete equivalence. As opposed to other fuel sources, such as coal, which typically are producing a net addition of carbon into the atmosphere upon being burned. Typically bio fires and gel burners are designed to give more of a decorative flame effect, with heat as a by-product and so shouldn't be relied upon as a source of primary heating. This being said, some models do have an output of up to 7kW and thanks to how clean bio fires burn, no chimney or flue is required, therefore bio fires are 100% efficient. There is a wide range of styles available with bio fires so we are sure to have something for you. 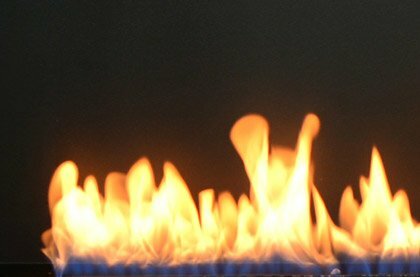 The advantage of gel burners over bio fires is that the gel fuel being burnt is more viscous than bio ethanol, a liquid, and hence less likely to be spilt or splashed and is therefore less hazardous. Pellet stoves burn small pellets of sawdust bound by lignin (a major component of plant tissues), these pellets burn with a high temperature and an incredibly high efficiency, leaving less than .5% ash residue. Naturally, the pellet stove is a miracle for the environment, using renewable fuel and producing remarkably low emissions. Pellet stoves and bio-mass and are on the increase here in the UK, wood pellets are the most common type of pellet fuel but other variations are available, such as coconut shells and empty fruit bunches. 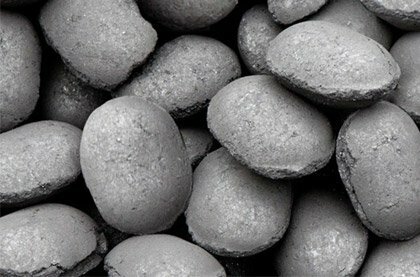 Pellets are categorised by their heating value, moisture, ash content and dimensions. 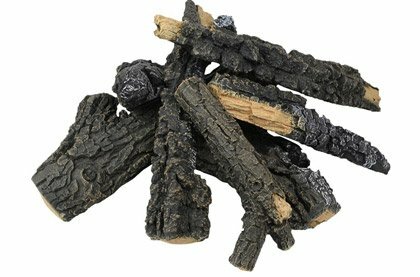 Charcoal is essentially carbonized wood, that is wood that is free of most of the components that do not contribute to a better burn. This is achieved by 'pyrolysis', put simply this is burning wood in a very low oxygen environment, permitting the removal of almost everything except carbon itself. The resultant charcoal is incredibly carbon rich, and ready to burn. We have all seen the distinctive white glow of charcoal, this indicates the charcoal is a high enough temperature to cook with. So whip out the buns and the baps, and chuck in a sausage for good measure, now you're cooking! We also offer a selection of charcoal barbecues, perfect if you are looking to bring the kitchen outside and into the garden. The smoky taste, the novelty aprons, the unmistakable scent of summer; these are the hallmarks of a charcoal barbecue, the original outdoor oven. This selection of charcoal barbecues puts you in the driving seat, replete with latest technology for precise temperature control and high end cooking. Choose between stone, cast-iron and stainless steel models from some of the world's leading designers.